Are you looking for the perfect kitchen appliance that can help you have a good smoothie? If you are thinking that blenders and juicers do the same things, then you are wrong. This is the most common misconception that people have when it comes to these appliances and it is important to know what each of them can provide for you. Most people enjoy having smoothies. Having a healthy smoothie every day will make your body more energized, your mind more clear and your memory skills to improve. Blenders and juicers are different appliances that are more and more appreciated these days and most kitchens are provided with one of them. Keep in mind that no matter what appliance you use, the more fruit and vegetables you introduce into your diet, the greater the benefits are. Studies show that if a person starts to eat at least five servings of fruit and vegetables every day, the risk of having a stroke will decrease by 26% and the risk if dying of cardiovascular diseases will decrease, too. The benefits also include the decreased risk of dealing with the Alzheimer’s disease. But what appliance is better for making smoothies you might wonder. Below you will find some information on each appliance. Blenders are the appliances that will process the whole fruit and vegetables that you want to use and they also include the fiber from them. This is what makes your result a thicker drink in consistency, a drink that will take longer to be digested. This result is usually called a smoothie. A smoothie will make your appetite satisfied and you will feel full for a reasonable period of time. You will receive all the nutrients that it has to offer in a slower way. Making a smoothie with a blender will make a result of no waste. The blenders process everything that you put into the jar and in the end, you do not throw away any pulp. This is a difference between blenders and juicers, whereas the juicers will waste the pulp that we are talking about. The slow releasing energy happens because of the fibers that are present in the drink. They slow the digestion and so the energy is being released slower and in an even way. This will help you with preventing the sugar highs and lows. The fibers also work their way like cleaners for your body’s digestive system and will remove most toxins by encouraging elimination in a regular way. This appliance will separate the fibers from the rest of the ingredients and it is considered that it makes more waste than a blender does. Juicers leave after the juicing process only the juice from the fruit and vegetables that you use and the fibers that remain are discarded. This is the best way for you to introduce more fruit and vegetables in a portion. The consistency of the final result sends an idea of a juice, not a smoothie, so if you are more into juices this is the best option for you, but if you like smoothies more, then you should try a blender. With a juicer, the final result will have extracted from the fruit and vegetables all the indigestible pulp. Juicers make products that your body absorb quickly. The vitamins and the minerals from the juices are easier absorbed by the body and so the good things will be taken exactly and straight where the body needs. Using a juicer will remove the most of the bulk that the drink has, and with this method you can pack more vitamins and nutrients from much more healthy ingredients into one single glass of product. 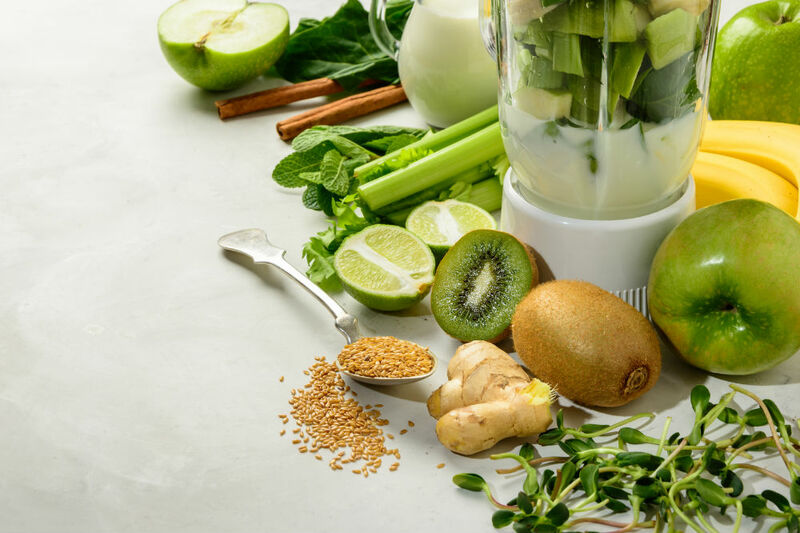 If we take into comparison a blender and a juicer when in comes to the digestion, as above mentioned, the blender makes products that your body digests slower. Juicers make products that help with an easy digestion whereas the liquid has less or even inexistent fibers than the liquids from the blending process. Juicers might help you if you have problems with the digestive system and this is a good way to give it a break without losing important vitamins and nutrients. If you want to choose a blender, you should know what types of blenders exist on the market. There are interesting jug blenders (perfect for families with a bigger number of members) and single serving blenders (perfect for smoothies on the go). On the other hand, juicers come in different models, too. Centrifugal juicers are perfect for you if you are trying juicing for the first time while the cold press or the masticating juicers are the best options for the people that are dedicated juicers. Based on how many people you are preparing smoothies or juices for and the experience that you have behind with these appliances, you have where to choose from and make new experiences and recipes with new appliances. Taking into consideration all of the above mentioned, it is easy to say that fruit and vegetables have many benefits to bring for you, starting with many vitamins and ending with lots of nutrients. Having the recommended portions every day might get a little hard for you if you have a busy schedule and so you might prefer to put all the ingredients into one smoothie and drink it. If are thinking about what appliance is best for making a smoothie, it is easier to prepare it with a blender. Smoothies are different from juices and they both have their benefits. Smoothies will make you feel full for a longer period of time and will make a slower digestion due to their fibers. The juices will provide a faster digestion because the fibers are removed from the liquid, but they make a waste. So, if you are interested in making delicious drinks with consistencies of smoothies, the best option is a blender, no matter if it is a jug blender or a single serving blender because the final result is the same.